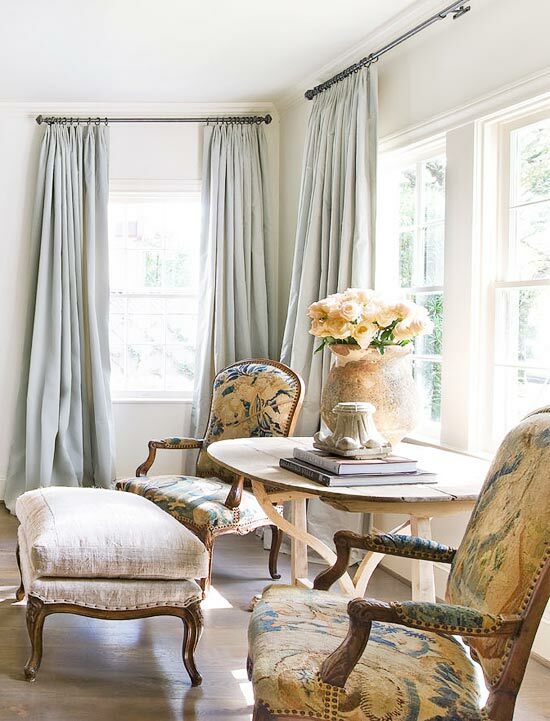 Friday Favorites: Gorgeous Neutral Rooms with a Touch of Color! And since I’ve never shared my love for neutral rooms, I thought I would do just that. 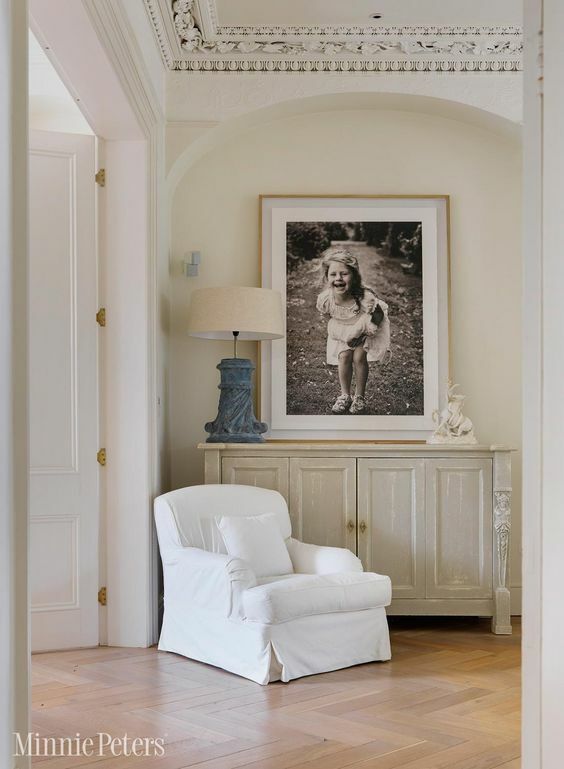 I’ve seen some truly beautiful pale colored rooms, but when I say they’re pale, literally – everything in the entire room is white or off-white! 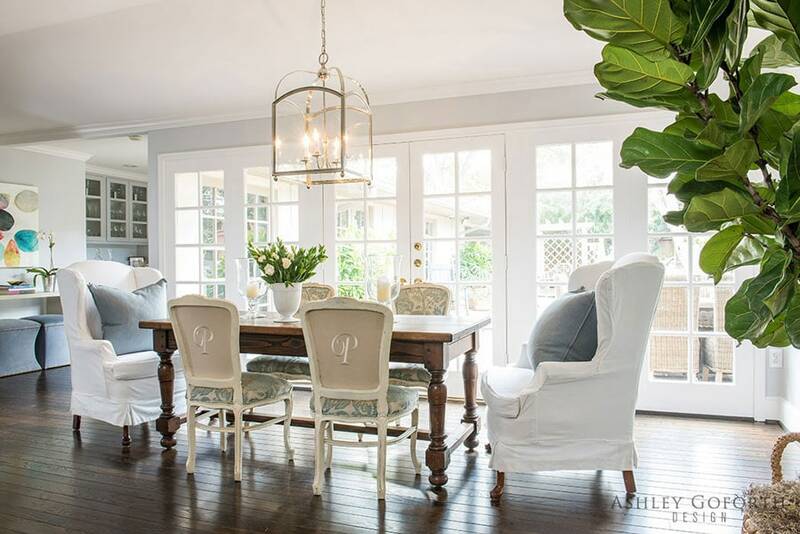 I do love an all white, or creamy neutral room, but I think it’s best with at least some color added. If the room only has white on white on white, it starts to look like a polar bear in winter! It doesn’t need a lot of color, just a touch. But that touch, whether in pillows, art, or accessories, makes such a difference. And definitely texture! Texture is even more essential in neutral rooms to bring interest to the space. The texture actually acts like color because it brings depth to an otherwise neutral room. The neutral rooms I’m sharing achieved that balance perfectly. The touch of color makes them so much more than they were before! These are the ones that really inspire me and make my heart skip a beat…. Perfection! Neutral, but with texture from the layered rugs and the chippy antiques. Color comes from the fabulous antique secretary and the wall hanging. 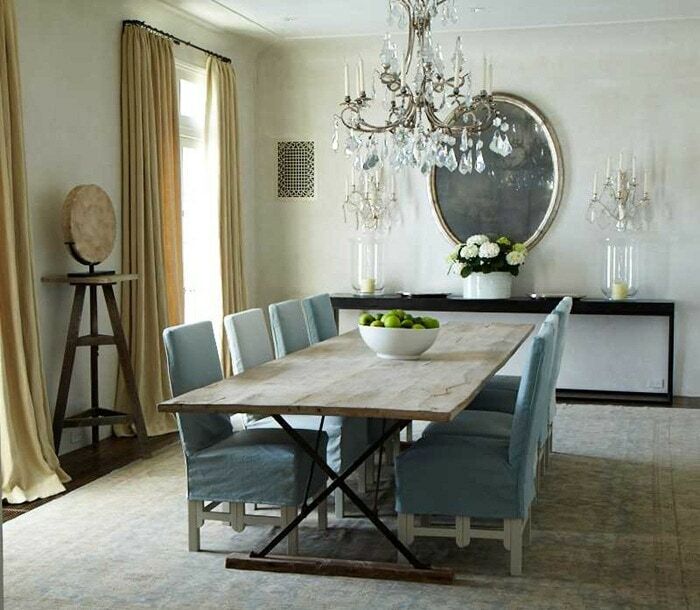 Design by Brooke Giannetti via Giannetti Home. I love that the chunky lamp is the only color in the space! But wouldn’t it be so much different if that lamp were white?! It would definitely not be as striking. Via Minnie Peters, one of my absolute favorite designers. Though this room has severals soft shades of green and lavender, it doesn’t feel like anything other than a neutral room. Done perfectly via Pam Pierce. I love this corner in this pretty room. The painting adds all the color you need! Just imagine how differently this room would look with a painting that “matched” all the neutrals. It would melt away and you wouldn’t get the pop you do from this landscape. Via Miss Mustard Seed. The pillows add the only color here, but it looks amazing! Via Sarah Richardson Design. This room is such a great mix! 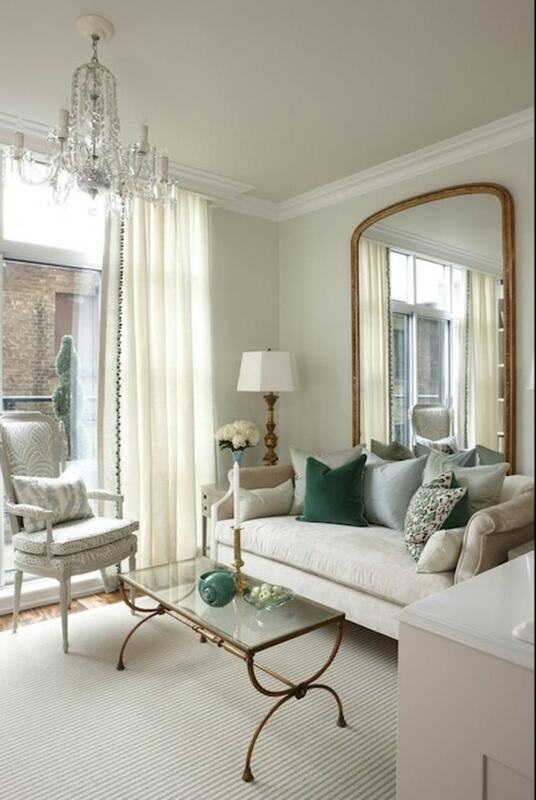 The trumeau mirror adds a soft green as do the patterned chairs, but the zebra rug really adds some punch! 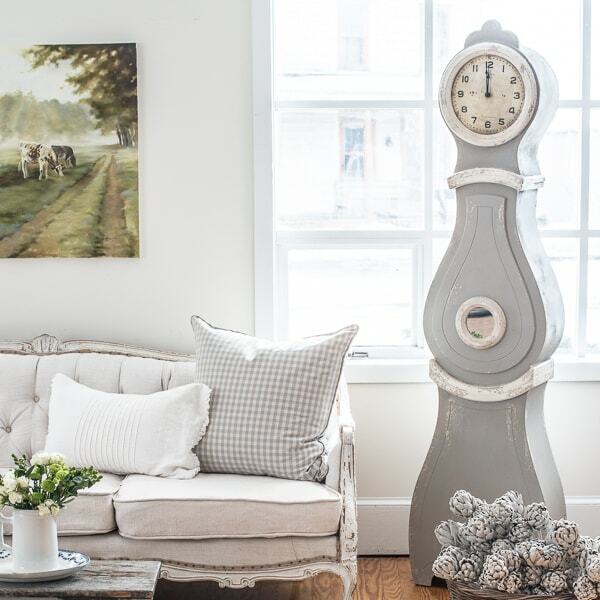 Design by Mia James via Southern Living. 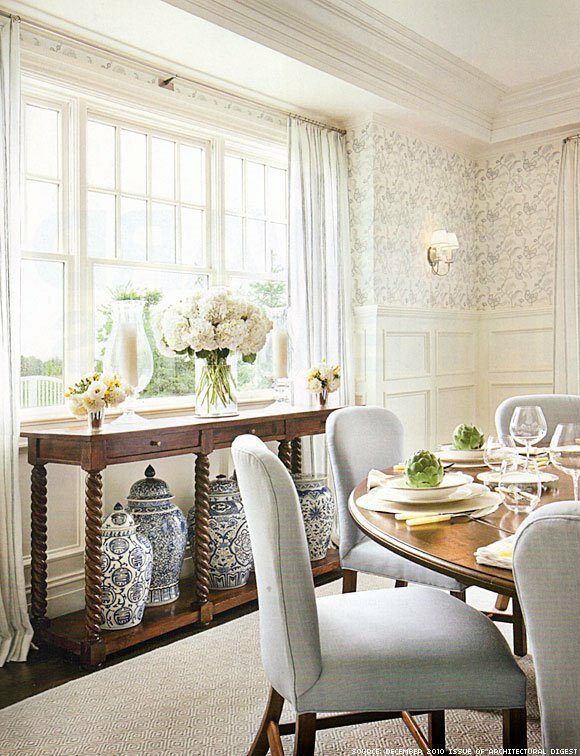 With neutral white walls and linens as the neutrals, the patterned chairs and the soft grey curtains add that pop of color. One of my favorite rooms- and it’s like ten years old and still going strong! Design by Eleanor Cummings via Traditional Home. 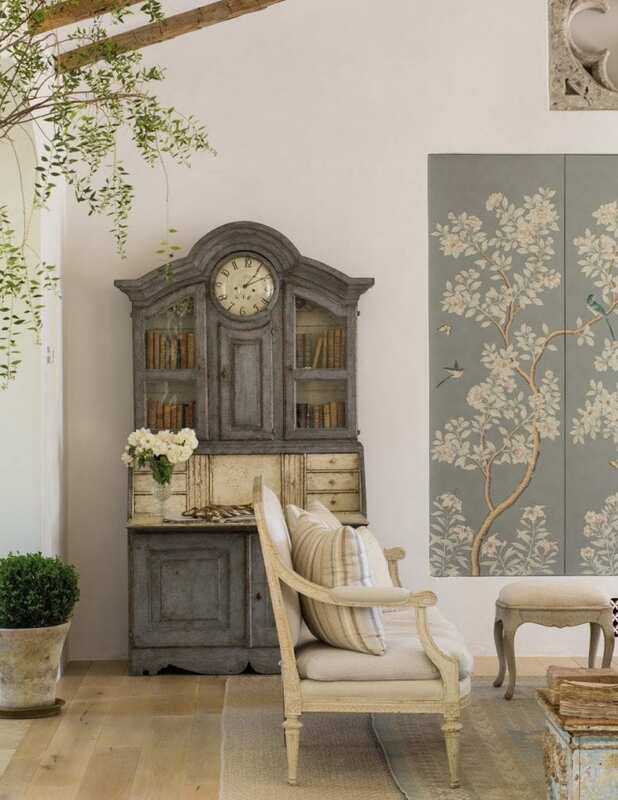 Soft grey chairs and all that blue and white chinoiserie add charm to an otherwise all-white room. 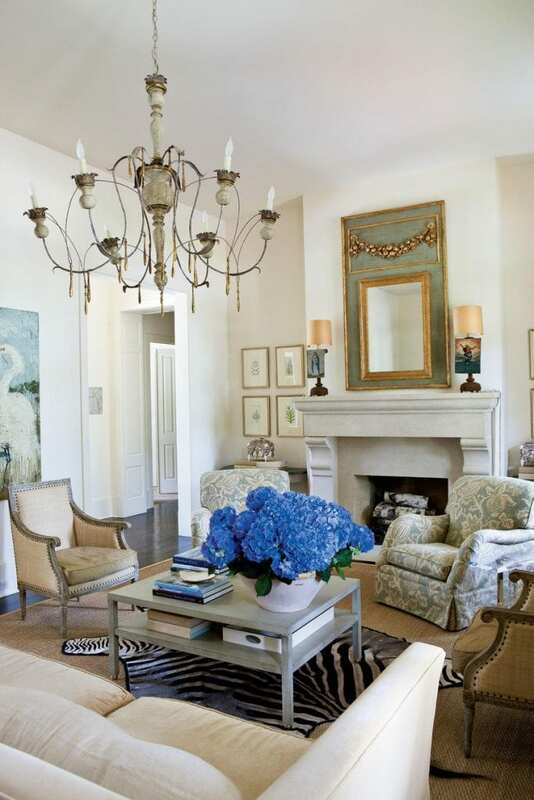 Design by Carol Vaughan-Davis via Architectural Digest. Need I say more?! Design by Jane Moore via Veranda. A definite favorite! Soft blue/grey pillows and walls make this breakfast room even prettier! Via Ashley Goforth Design. 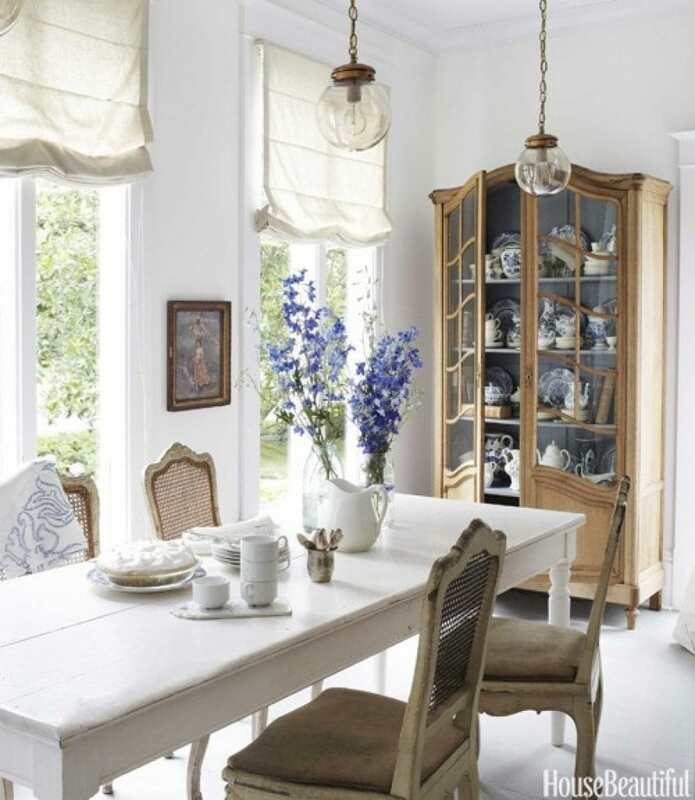 Most of the color in this room comes from the blue and white china in the cabinet, but it adds so much more to the space than if they had just used white dishes in there! 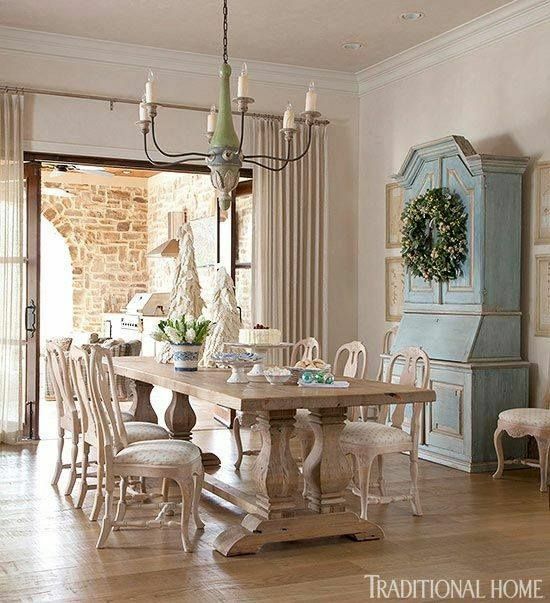 By designer Annie Brahler via House Beautiful. One of my all-time favorite bedrooms, by Brooke Giannetti. She added interest with touches of gold and soft greens, but the white walls and white bedding definitely keep it in the “neutral rooms” category. Via Veranda. Hope you have an inspiring weekend! Thank you so much Sara! You are a constant source of inspiration to ME! And I am so touched by your support! So, SO glad you stopped by my friend! Thanks Karen! I love them too – and so glad you agree! Oh I so agree! Isn't Pam Pierce the best?! I could move in today!! Thanks so much for stopping by – and for your sweet comments! I so appreciate your interest and support! All of these spaces are so spectacular, Sheila! I would add a shot of your beautiful home to the list too, though! You are a constant source of inspiration to me! ? 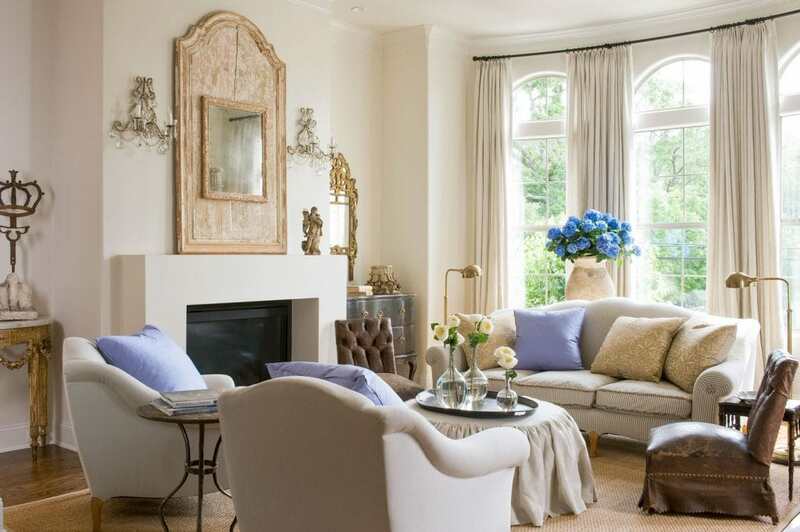 These rooms seem the perfect blend of mostly neutral with just the right amount of color. I love every single example in your post! I love the Pam Pierce sitting room. It looks so inviting, I could flop in one of those sofas and sit there for hours! It manages to look warm and cosy whilst also looking effortlessly cool and refreshing, love this!